Murder by Gaslight: A Hidden Skeleton. Barton Russell and his wife were digging for ginseng in Deer Lick Hollow, half a mile north of Mooresburg, Tennessee the evening of October 16, 1886, when they made a shocking discovery. The skeleton of a young boy lay hidden under the brushwood off the road. The flesh had been torn away by birds and animals and the arm bones were missing. Near the body lay a shirt, a pair of socks, an old pair of shoes and a tattered hat. A depression in the skull indicated that the boy had been killed by a blow to the head with a club or similar weapon. In Mooresburg, Mrs. George Armstrong identified the shirt as one she had made for her nephew, sixteen-year-old Charley Young. She said the hat and shoes were not his and said that the missing pants were lined with the same material as the shirt. Young had left her house six weeks earlier to cross Clinch Mountain and visit his uncle and had not been seen since. Bunch remained unconcerned when he was arrested for the murder of Charley Young. Young’s coat and shoes were found in Bunch’s house. The hat he was wearing was identified as Young's while the hat found with the bones was identified as one formerly worn by Bunch. Marcellus Bunch pled not-guilty but declined counsel. In his trial, he refused to say anything in his own defense and did not question a single witness. It was generally believed that Bunch and Young had met and played cards. With nothing left to bet, Young wagered his suit; he lost and was killed when Bunch took forcible possession of it. Bunch was found guilty and sentenced to twenty years in the penitentiary. “Deer Lick Hollow,” Atchison Daily Globe, October 22, 1886. 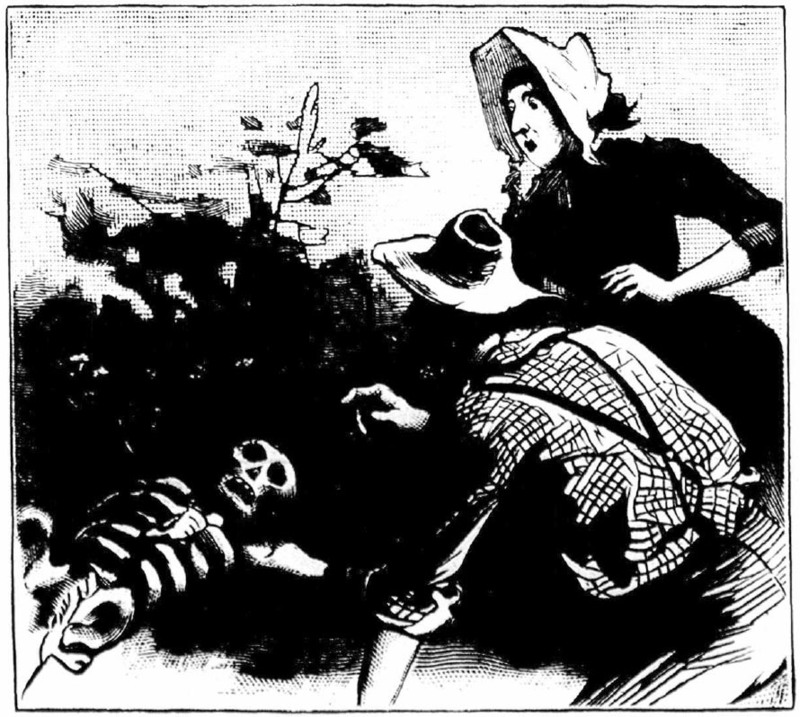 “A Hidden Skeleton,” National Police Gazette, November 6, 1886. “The Hidden Skeleton,” New York Herald, October 21, 1886. “Two Cases Affirmed,” The Tennessean, November 14, 1888. The Evil that men are capable of doing...even in something as trivial as a pair of poor man's clothes.